In the digital age, influencers shape the landscape for many of the creative industries. At Graduate Fashion Week, we're proud to work with many influencers that work across digital channels, from youtube to instagram. The influencers involved on the shoot included Jiawa Liu, Marques Emmanuel, Sandra Haglestam, Danielle Vanier, Daniel Desmarais, Zahra Rose, Teral and Char Ellesse, it was a day to celebrate the diversity of design and styles. Paris based, Vogue Australia Contributor, Jiawa Liu, wore the minimal soft pieces by Anya Parker James from De Montfort University. Recognising the lingerie as outerwear trend, Anya juxtaposed the soft pale blues of a jumper with the delicate silk lingerie style dress. Having been featured in Weekday campaigns, and recently signed by Wilhelmina models, Char Ellesse is an emerging creative, fighting for visibility and representation across the industry. Char wore the bold red designs of Maddy Stringer from Edinburgh College of Art, using architectural shapes to highlight the dominant pieces. 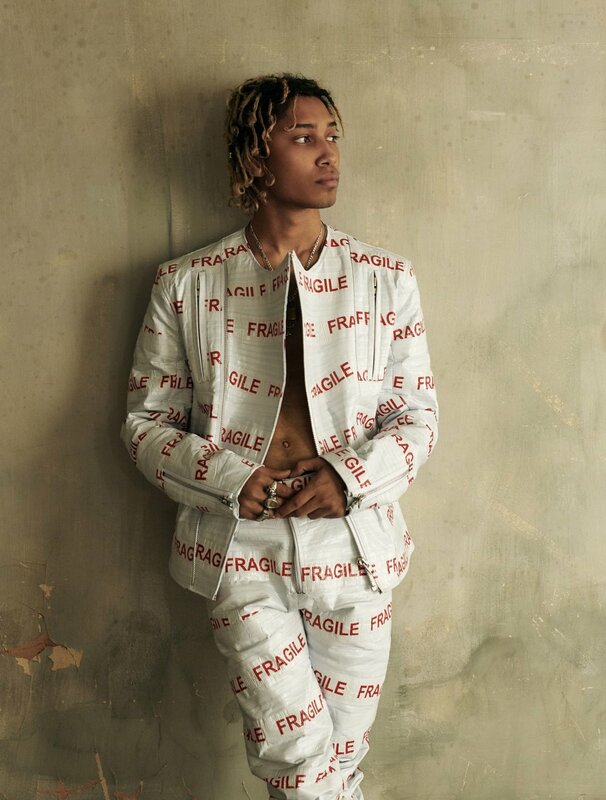 Model and influencer Daniel Desmarais, wore the white fragile suit, created by Takato Wako from Nottingham Trent University. The striking and innovative menswear piece features zip pockets and tape. It alludes to the fragility of the fashion industry in terms of sustainability and hones a political design perspective. Content creator and actress Sandra Haglestam, the talent behind 5 Inches and Up, wore the elegant interpretation of a classic white shirt by Teresa Lee from Manchester School of Art. 2016 InStyle Curve Influencer of the Year Danielle Vanier wore the daring designs of Rachel Bateman Stanfeld, from Nottingham Trent University. The 'Large and In Charge' slogan emblazoned on the back of the faux-fur coat references Ru Paul's Drag Race, and captured the attention of all of the influencers present on the shoot. Zahra Rose wore the vibrant red, embroidered piece by Roshani Limbu, Solent University. The intricacies of the two piece include gold beading, fringing from eye motifs and emerald green decorations. The design talent showcased in the photoshoot was of the highest calibre, from the conceptual beginnings to the execution of the creation. We can't wait to see the garments that head down the catwalk from 3rd - 6th June in The Truman Brewery! Make sure to purchase your tickets, starting from £8, here.